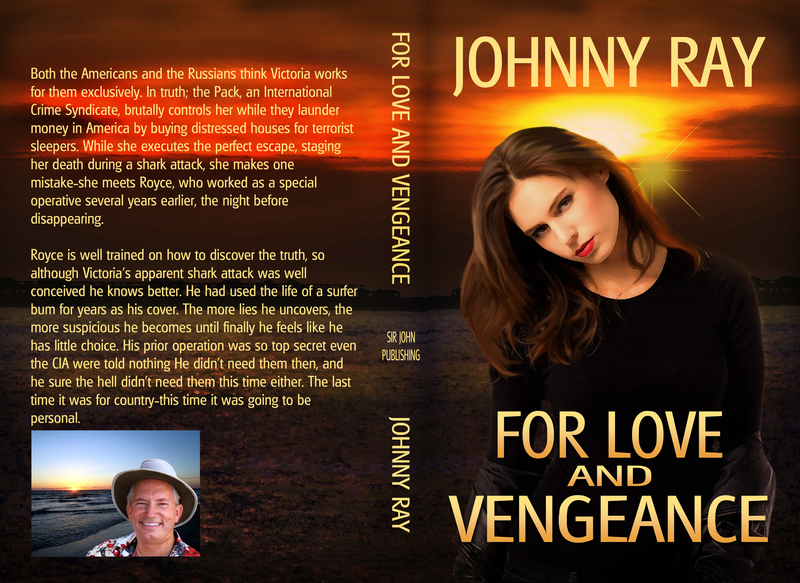 FOR LOVE AND VENGEANCE is an International romantic thriller filled with action and adventure that jumps across the globe as Vance searches for a girl he had only spend one night with, but one that promises to the perfect fit in his life. All he has to do is rescue her and keep her from becoming another casualty in the "for the better good", a lie he was given earlier when his previous girlfriend was murdered. Both the Americans and the Russians think Victoria works for them exclusively. In truth; the Pack, an International Crime Syndicate, brutally controls her while they launder money in America by buying distressed houses for terrorist sleepers. While she executes the perfect escape, staging her death during a shark attack, she makes one mistake--she meets Royce, who worked as a special operative several years earlier, the night before disappearing. Royce, on the other hand, wants nothing to do with any American led special operations after he had been lied to in order to keep him focus on his prior mission. His girlfriend had been abducted and brutally murdered earlier while they had kept him in the dark. The last thing he had ever expected was another woman in his life, especially a Russian spy. Furthermore, he never would have believed that she would be the one thing that would encourage him to finish a mission that he should have taken care of the first time. Royce is well trained on how to discover the truth, so although Victoria's apparent shark attack was well conceived he knows better. He had used the life of a surfer bum for years as his cover. The more lies he uncovers, the more suspicious he becomes until finally he feels like he has little choice. His prior operation was so top secret even the CIA were told nothing He didn't need them then, and he sure the hell didn't need them this time either. The last time it was for country--this time it was going to be personal.